Why trust us? We’re a virtual company that’s always on the move. That means we use tablets for everything — from watching shows and playing games to getting work done. These are the best Android tablets you can buy. The Samsung Galaxy Tab S3 offers the best overall Android tablet experience, with a big screen, high-end specs, a stylus and support for a full keyboard. It’s expensive, and not the right pick for anyone who wants a smaller and more portable tablet, but as an all-around device it can’t be beat. This is Samsung’s best-ever tablet, and a single device that can do it all. It’s built extremely well, with a metal frame and glass back that looks great and feels worthy of the price. It has high-end specs to handle anything you could throw at it, and easily has the best display of any Android tablet. There are super-loud speakers, a stylus in the box and support for a detachable keyboard that make the Tab S3 an all-around performer for work and play. The two most important things to have in a full-size Android tablet are a great screen, loud speakers, strong build quality and software that makes use of the extra screen size. That’s what makes the Samsung Galaxy Tab S3 the best Android tablet. An amazing screen from Samsung is no surprise. The 9.7-inch 2048×1536 Super AMOLED on the Tab S3 carries on the tradition, and it’s simply the best display on a tablet. Android and Samsung mesh to provide a great software experience, and the new S Pen stylus with 4096-level pressure sensitivity makes taking notes or producing digital artwork a breeze. Add on the optional keyboard to get some typing done, or just prop it up to watch a movie with that great screen and loud speakers. Yes. The Galaxy Tab S3 was released in March 2017, making it over a year old now, but we’ve seen over the years that these devices don’t need to be updated and refreshed every single year. The specs inside make the Tab S3 plenty capable even in mid-2018, and there’s nothing you’d be looking to do on a tablet that it can’t handle. We don’t expect it to be replaced with a new version until early 2019. 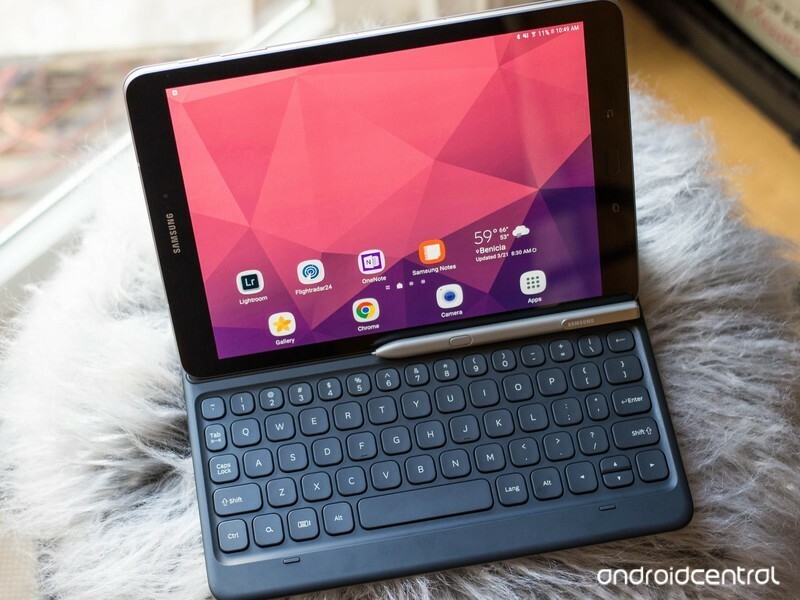 There aren’t a lot of good Android tablets available today, particularly in the “mid-range” part of the market — so if you want a great Android tablet, you have to go to the high-end with the Galaxy Tab S3. The biggest reason why it’s such a great tablet is because it’s essentially a mix of the Galaxy S7 and Galaxy S8 phones, taken up to a tablet size. That means you’re getting internal specs that are way beyond the rest of the competition, with a super-fast processor, plenty of RAM, lots of storage and well-optimized software. And because it’s a Samsung product, you’re getting a best-in-class display and an amazing metal-and-glass build. Because you’re spending top dollar on the Tab S3, you don’t have to make any compromises — you get it all. Beyond the specs, you get extras like great quad speakers, an SD card slot, a fingerprint sensor, an S Pen stylus included in the box and an optional first-party keyboard case that rivals some laptops. And despite being thin and light, it gets great battery life. 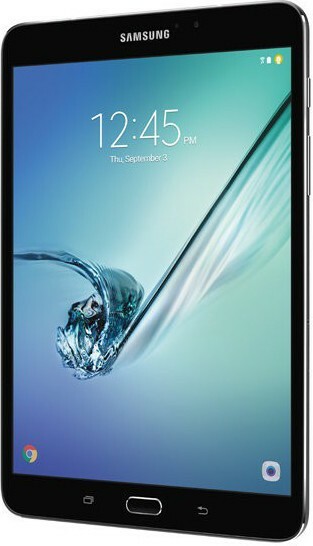 If you want an Android tablet and you’re wiling to spend the money, there’s really nowhere else to go but the Galaxy Tab S3. The Amazon Fire HD 10 isn’t going to blow you away with speeds and feeds, nor does it have a stylus or a keyboard — that’s not what it’s for. Instead, it’s simply the best big Android tablet for doing the basics, from watching movies and TV shows to playing some basic games. You don’t get the Google Play Store or Google’s great apps and services, but you also don’t pay much for this solid tablet. 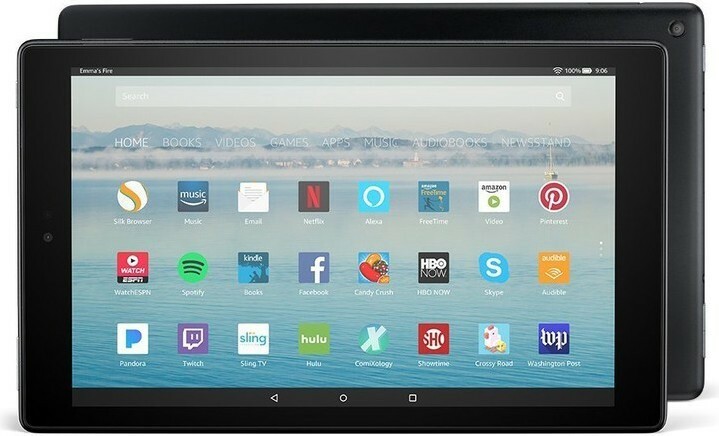 Amazon’s Fire HD 10 is all about giving you the basic tablet experience that’s focused on media consumption on a big screen without the extra complication (and cost) of productivity features. Not everyone wants a big tablet that can do everything, they want to stay mobile. The last-generation Galaxy Tab S2 8.0 is a smaller 8-inch tablet that’s focused on being light and portable rather than offering a productivity-focused experience. The screen is still good and plenty big enough for watching TV or browsing the web, but is light and small enough to hold in your hands without having to prop up on a table after 15 minutes. The Tab S2 may be a generation old, but it’s still a great tablet if you want something lighter and smaller — and it still has good specs and a high-quality display. 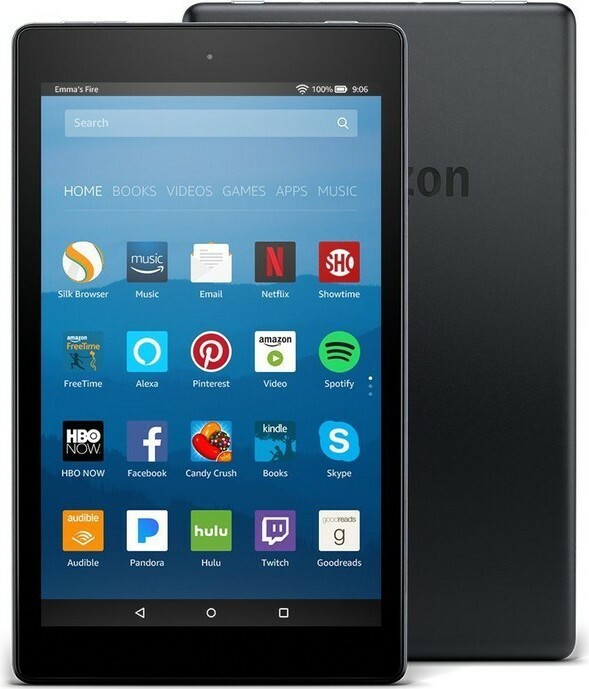 Amazon also makes the best super-inexpensive Android tablet available, the Fire HD 8. At $80 with 16GB of storage, it’s an amazing deal. Like the HD 10 it doesn’t have the Google Play Store or Google apps, but you’re even more likely to look past that when you’re spending under $100 on a tablet. This is a great choice for media consumption, browsing or handing to your kids. A light and portable tablet well under $100 — there isn’t much you can complain about in that equation. Better yet, it comes in four colors. 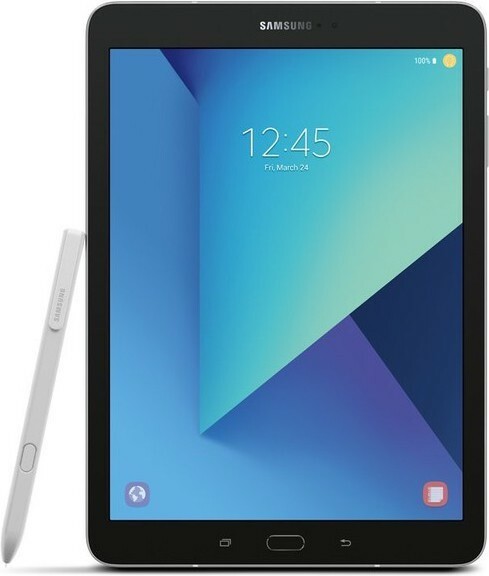 For someone who wants the best possible Android tablet experience, the Samsung Galaxy Tab S3 is the best choice because of its high-end materials, great screen, capable software and accessory options — but you’ll pay quite a bit for it, roughly $500. For those who don’t need as many capabilities, the Amazon Fire HD 10 offers a good media experience but without the app support or productivity capabilities of the Galaxy Tab S3 — and it’s one third of the price because of it. If you want something smaller (and also cheaper), the last-generation Galaxy Tab S2 8.0 is much lighter and more portable than any other tablet, and for even less money you can pick up a Fire HD 8.